NYC, 02/15/2019, 1:00PM. Book Club (2018): Four Friends Read Fifty Shades of Grey Starring Diane Keaton and Jane Fonda. 103 min. Directed by Bill Holderman. 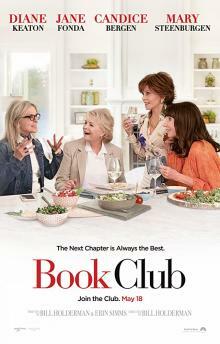 Book Club grossed $68.6 million in the United States and Canada, and $21.2 million in other territories, for a worldwide total of $89.8 million, against a production budget of $10 million. Principal photography began in August 2017 around Santa Clarita, California.